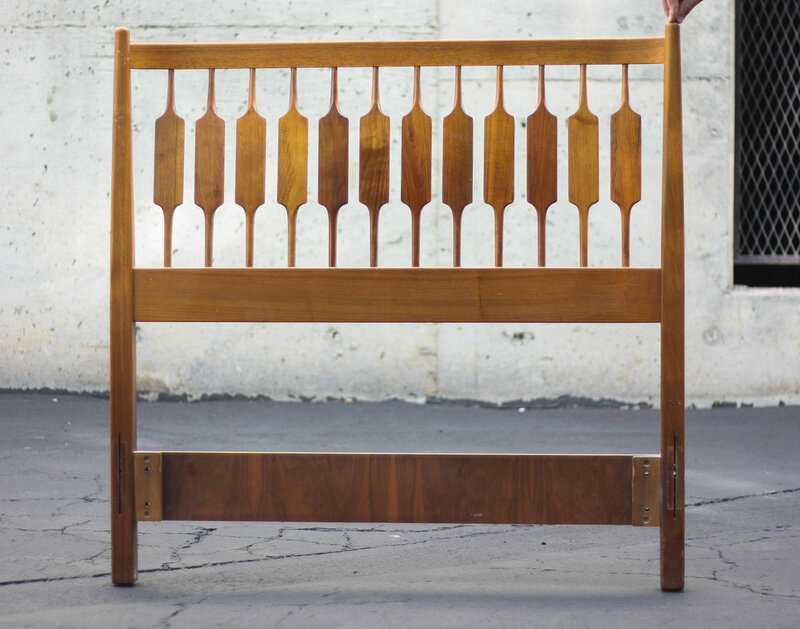 A beautiful twin size walnut headboard by Kipp Stewart for Drexel Declaration. Very good vintage condition with only light signs of use commensurate with age. Check out the insane patina and color variation in the wood spindles. Can accommodate a Queen, King or a California King Mattress. Simply push the frame for your choosing up against, screw it in, and you're good to go!